How to improve your golf through better vision? Ultraviolet Protection: Since golf takes place outdoors, you glasses should protect you from 100% of ultraviolet radiation. Lens Color: A lens that absorbs blue light will help you read greens better and follow your ball in flight. The greens and white ball will be enhanced, while the blue of the sky will be muted. Look for brown or amber lenses to increase contrast. Or, some people prefer more natural vision and lenses that do not distort. For those, choose a neutral gray or G-15 green gray lens for true color perception. 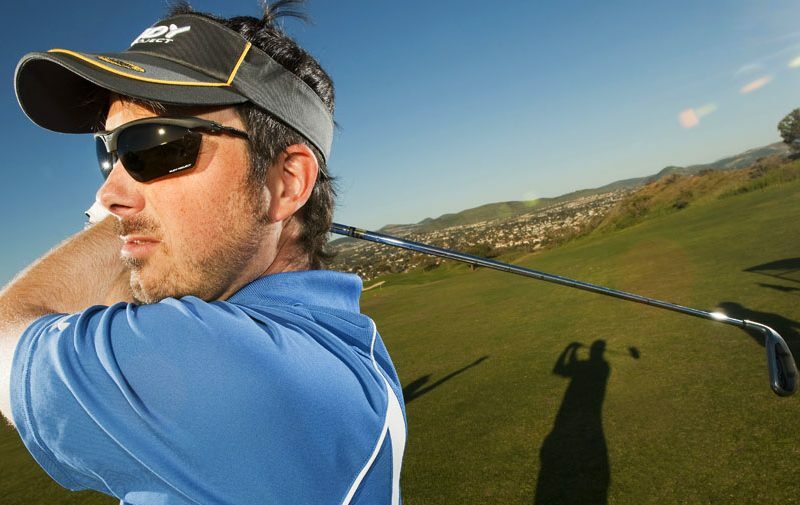 Some golfers also like polarized lenses to reduce additional glare. However, polarized lenses can make it harder to read the greens and they will tend to make surfaces look flatter. 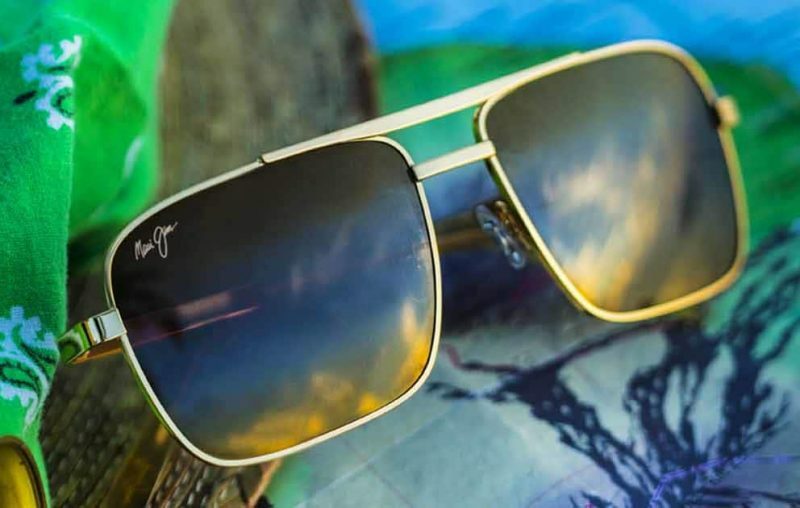 Sunglasses Styles: Most golfers have found that their regular pair of sunglasses interferes with their swing. As they go to swing, their head turns slightly, and the bottom edge of the frame interferes with the direct gaze of the ball. Look for frames that do not have a frame on the bottom to interfere with your line of sight, or oversized frames so your gaze does not cross the frame border. Sunglasses Fit: Since you start your golf swing looking down, unproperly fit glasses can slide off the nose and distract you. Make sure you choose frames that have temples that can be adjusted to fit so that they do not slide down the nose. Prescription Lenses:Most golf glasses such as Oakley, Rudy Project and Zero RH can be fit with prescription lens. However, those who wear a multifocals / progressives probably have noticed that they must put their head down a little more to properly see the ball. This is because the multifocal often interferes with the field of view, since the ball on a tee falls into your intermediate or distance vision, not your near that a multifocal is designed for. This creates an uncomfortable head position. A golfer that needs both distance and near corrections should consider special golf lenses. There are golf specific prescription lenses that will help improve your vision and accuracy, just drop by to Malaya Optical in Klang Valley to find out more.